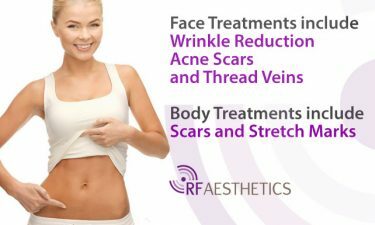 The RF Aesthetics ‘Secret delivers precisely controlled bi-polar RF energy to a specific depth of epidermis, adjustable from 0.5 to 3.5mm, through minimally invasive micro-needles to induce dermal coagulation. 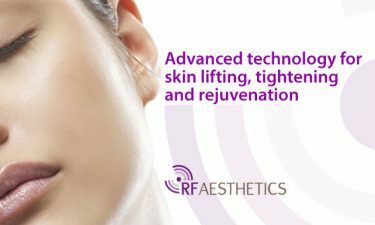 The RF Aesthetics ‘Secret’ is perfect for nonsurgical face lifting, wrinkle reduction, scar reduction and now with the optional Smartcure™ head, thread veins. Suitable for all skin types with a low risk of skin burns and PIH. 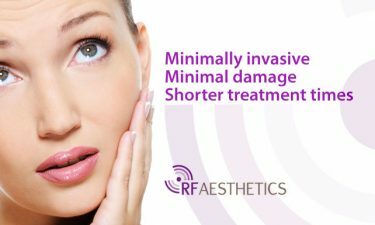 The RF Aesthetics ‘Secret’ is a Micro-Needle Fractional RF System. 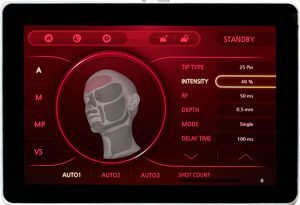 Based on the synergistic effect of precisely controlled bi-polar radio frequencies combined with minimally invasive micro-needles, it is perfect for nonsurgical face lifting, wrinkle reduction and scar reduction by dermal coagulation. This combination reduces both treatment time and down time by significant amounts compared to fractional laser based treatments. The RF Aesthetics ‘Secret’ is suitable for treating on all skin types – including darker skin, with a low risk of skin burns and PIH.